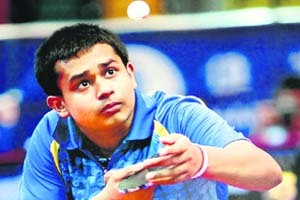 Talent has nothing to do with age and Bengali table tennis players Ankita Das and Soumyajit Ghosh have proved this right once again by becoming the youngest Indian players to qualify for the 2012 London Olympics. These two have trained together in Siliguri under the former women's national Table Tennis Champion Mantu Ghos. Both of them have displayed a perfect blend of strength and conviction by winning laurels at the regional and the national levels throughout their sporting career. Having trained tirelessly to clinch a place in the Indian squad, their will power and determination enabled them to succeed during the Asian Qualifying Tournament and reserve a berth for Olympics. They not only outclassed their opponents from other countries but also defeated senior fellow players to bag this honour. After this success, their chief coach Bhawani Mukherjee is certainly a proud man. Having been associated with the Indian squad for the past 30 years, Mukherjee has spared no efforts to polish the Indian table tennis players and the results have been rewarding in many ways. 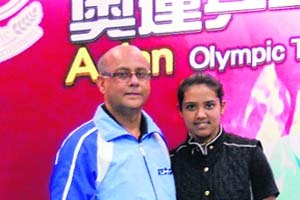 Ankita (18) gives the entire credit of her success to her coaches Mantu Ghosh, Subroto Mukherjee and Bhawani Mukherjee. She is especially thankful to Bhawani, who gave her the confidence to not only compete at such a high level but also emerge victorious. Starting her sports career at a young age of 4, Ankita started playing sports on her physician's suggestion to avoid some digestive problems but slowly and gradually got passionate about the game. Talking to The Tribune, Ankita says she is extremely delighted with this achievement but doesn't really want to lose ground as it is her first step to success. "Representing ones country is an honour but it also brings in lot of responsibility. The word 'Olympics' in itself is a big thing for any player and I just don't want to be a participant but win a medal," she adds. Paddler Soumyajit Ghosh, who is currently training at NIS, Patiala, shares the same sentiments. 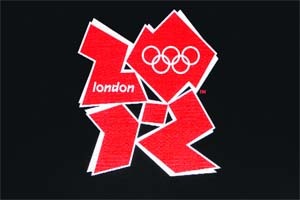 "I have grown up with this dream and now I have almost reached it, I want to give it my best shot. Our coach and fellow players have always been a great inspiration and have helped me to reach this far and now my hard work that will take me further. I cannot even describe how I feel having qualified for this mega event but at the same time i am keeping my fingers crosses. Like Vijender and Sushil, I too want to register my name in history," adds an ecstatic Ghosh, who won the World Junior Circuit title in 2010. Meanwhile, coach Bhawani Mukherjee, currently heading the Indian TT camp at NIS, Patiala, says that Indian paddlers are left with one more qualifying tournament, World Qualification Championship at Doha, and he is hopeful of a similar show in that event as well.